After mixed, add 1 stick butter. Microwave 30 seconds at a time until the butter starts to melt. Slosh around until butter is melted or until another 30 seconds is necessary. Mixture should be slightly warmer than skin but not hot. Cover bowl, add damp towel if the bowl doesn't have a lid, or leave a wet and folded paper towel stuck to the bottom of the lid and held up by the corners of the bowl if it does. 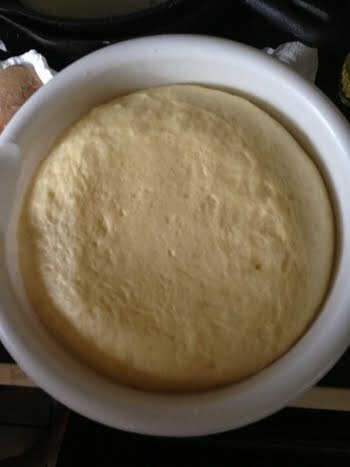 Place dough bowl, cooking pan and hot water in oven and allow to rise for 1 hr. 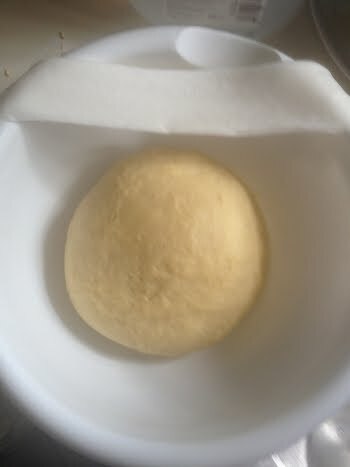 Dough should approximately double in size. 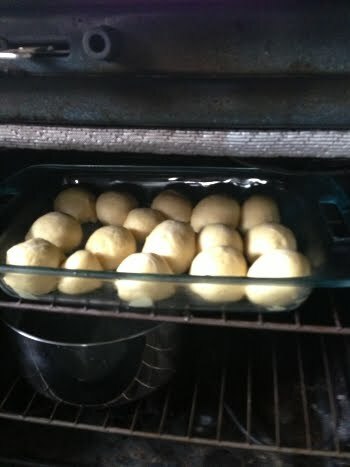 Press each wad of dough through a small circle made with your index finger and thumb to get nice round balls of dough, then set bumpy end down in the cooking pan. 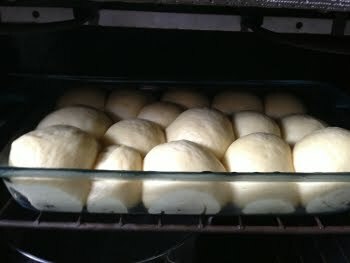 Allow to rise in oven with pan of water again with a damp towel over them if possible for 30 minutes. 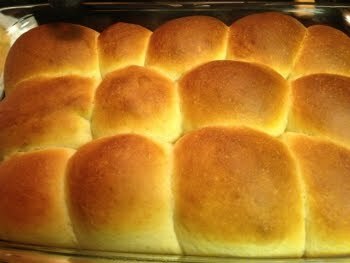 Remove pan of rolls from oven and preheat to 375. Cook at 375 for 25 to 30 minutes. Remove and allow to cool for at least 5 minutes.